1Department of Animal & Fish Production, Fac. 'Of Agric. Suez Canal Univ. - Ismailia - Egypt. 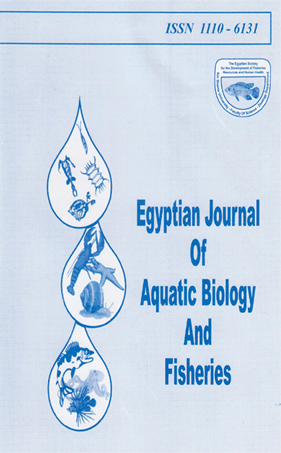 3Department offish Economics, Central Laboratory for Aquaculture at Abbassa, Sharkia Governorate, Egypt. Six approximately isoenergetic diets were formulated with protein levels from 20% to 45% in increments of 5%. The effects of varying dietary protein level on growth performance and economic efficiency were studied. The best growth rate was obtained with 30% dietary protein, followed by the diets containing 35,40, 45,25 and 20% protein, respectively. Feed conversion ratio was improved with increasing dietary protein levels up to 30%. Protein efficiency ratio was decreased with increasing dietary protein levels.Body protein was increased with increasing dietary protein levels up to 45%. There was an inverse relationship between the body moisture and lipid contents. Dietary protein levels did not affect the body ash content. From the economical point of view, the highest net return percentage of the total costs was 110.3% as recorded by the 3.0% Protein; followed by 102.4 % (25%. Protein) 99.4% (20%. Protein); 94.1 % (35%. Protein); 59.0 % (40%. Protein) and finally 48.6 % for (45%. Protein). The optimum dietary protein level for Nile tilapia (weighing 20g) was 30% and the feeding rate was 3% of body weight.